Ultimately crushing my dreams to tie the knot with man’s best friend. Even if Dogmeat is already looking at me aggressively. Fallout 4 is pulling out all the stops, learning from Bethesda’s best games since Fallout 3’s re-invention of the franchise. Much like it and New Vegas, Fallout 4 will feature companions that your wandering vault dweller can bring along for company. And what starts as a mutual relationship to avoid getting decapitated by roaming raiders could soon turn into something far more intimate. 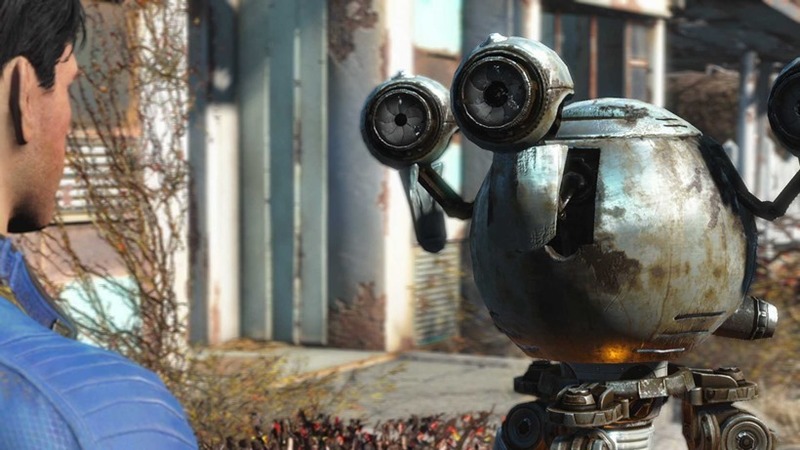 Every single one of Fallout 4’s companions will be able to engage in relationships and romance options, as long as they’re not made of metal or fur. All human companions are open for some romantic advances – regardless of the gender you choose to play as. Not only is that relatively rare for RPGs in general, romance options in a Fallout title is brand new. Previous games dabbled with promiscuity, but never offered options for personal relationships. And you’ll have a lot of choice too, with a full cast of 12 companions featuring in the highly anticipated sequel. At least two of those are out of the question (Dogmeat is, well, a dog, and the robotic Codsworth isn’t exactly warm to flirtation). Two of the known human companions though are fair game. 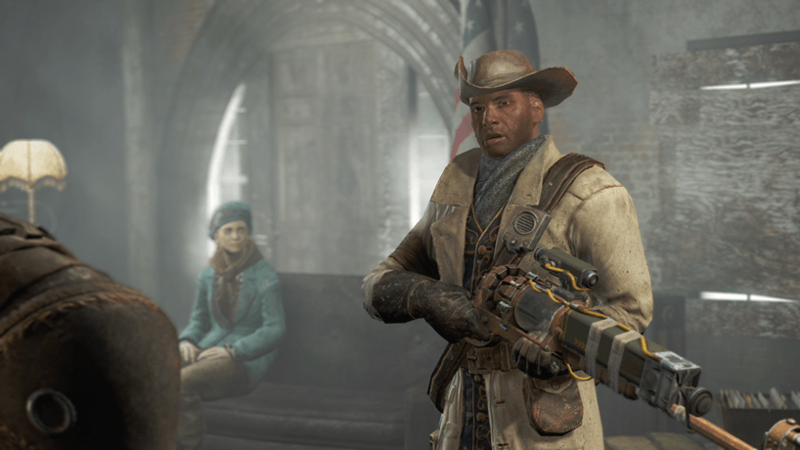 The Fallout Shelter revealed leader of the Commonwealth Minutemen, Preston Garvey, is a laser slinging cowboy of the wasteland (or at least I hope he is), but it’s Piper that has me more interested. Revealed at Quakecon, Piper is the editor of a newspaper distributed in Diamond City called Public Occurrences – who wrangles you into her affairs within the small town. She’s presumably going to dish out a lot of story assignments for you to fill, but she’s not shy to get her hands dirty on the dusty road with you. I’m just hoping she has some witty one liners to accompany her swift damage dealing. That’s only four of the twelve total companions you’ll be able to pick from, and I already know I’m going to have a tough time only choosing one at a time. Although I do feel like Dogmeat brings a bit of an unfair advantage with him. How can you say no to those Ghoul detecting eyes?